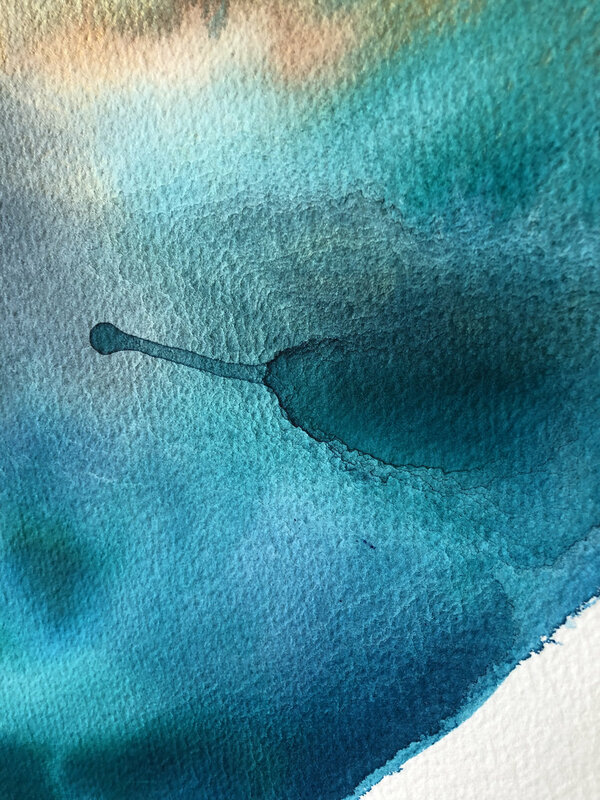 inspired by the ocean, but contained in watercolors and inks this ‘ocean study mini #7’ holds a special place in my heart. this 24x36” work has been created using watercolors and inks on thick watercolor paper and finished with beautiful deckled edges. the gold ink adds sparkle and luster, while the rich, deep blue watercolors ground the entire piece. designed to be hung portrait or landscape, ocean study mini #7 will make a statement in any space. this piece has been signed, titled and dated on the back. framing suggestion: frame without a matte to allow those raw deckled edges to shine. this will be shipped securely in a well packaged tube to avoid any damage during transit. artist retains all rights to this original piece or any reproductions. 'painting with merlot' abstract original 11x14"